1) Tell us a bit about your company. How did you start? 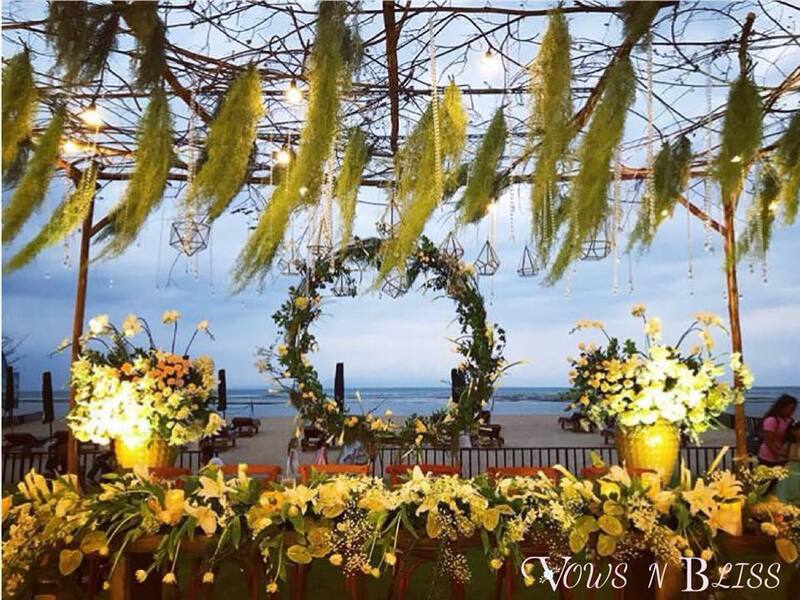 Vows N Bliss is a Mumbai-based company with a brilliant team of planners, designers and craftsmen. Every aspect of the event we design and plan are based on our client’s suggestions and expectations. 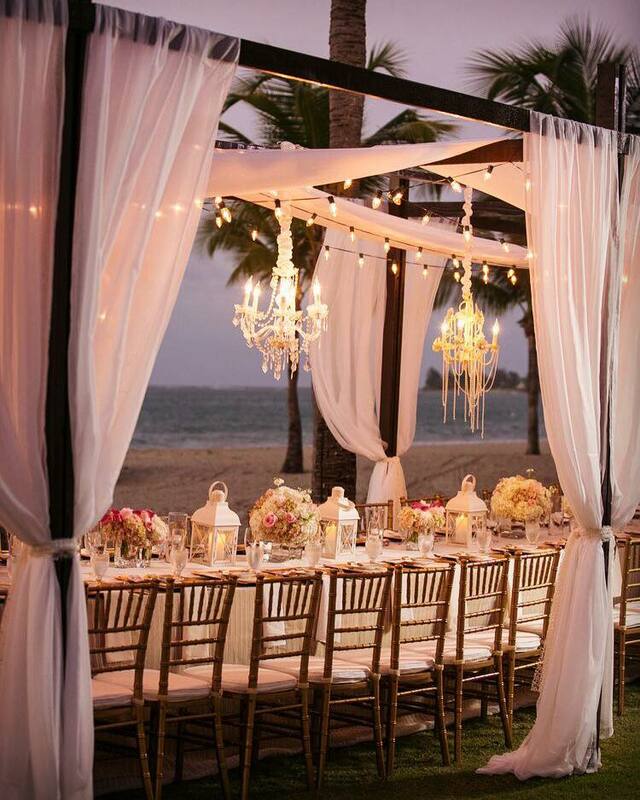 Our team offers complete planning solutions for organizing all wedding related functions. We pride our self in producing one-of-a-kind weddings and events every single time, while delivering a constant high-quality outcome, in a sophisticated Indian style. Being open-minded and creative, we adapt our designs and concepts to each unique situation, cultural background and choice of venue. I, Jenny, was doing my course in luxury brands and in my final thesis my topic was luxury weddings and their marketing in India. With the entire research on Indian weddings I developed interest in weddings. Aayush was already working in a décor company and together we decided to start our own brand. 2) What is your favourite part of planning the Big Fat Indian wedding? 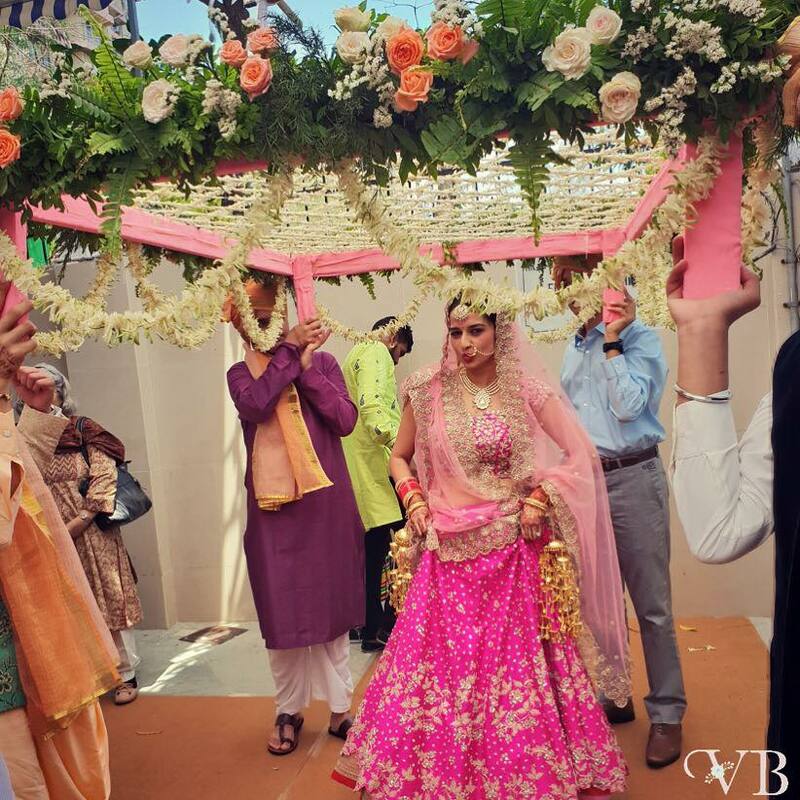 Our favourite part of Big Indian Weddings is handling the décor because Indian wedding is mixed with lots of traditions and cultures and the décor is really the best part in which a planner can emotionally connect with couples and show their creativity. 3) Tell us about a challenging wedding you have covered. What made it so? The most challenging wedding we had covered was in Goa during monsoon this year. There was heavy to very heavy rainfall and we had an outdoor venue but we were able to manage everything smoothly. 4) Can you walk us through a typical client consultation? A typical client consultation first involves getting to know their budget and trying to understand their requirements and preferences. We then find a venue and take things forward accordingly. 5) How do you handle over-the-top or crazy demands? We understand that each couple have their dreams for their wedding. We combine their thoughts and our creativity and execute the plan. 6) An Indian wedding is never planned or arranged by the couple-the entire family is often involved including the aunts and uncles. Does that get challenging for you? Yes it does get challenging, because the visions of the uncle and aunts are different from that of today’s generation. The term ‘Big Fat Wedding’ is synonymous with Indian weddings and in my experience, over the years, I have found that the entire immediate family (to-be-couples, their parents and siblings) are involved in key decisions like venue, décor and food. Generally, the parents add a touch of tradition to both the ceremonies and the menu, and they keep in mind the special requirements of the family elders; the couple and siblings pay more attention to new and trendy themes. The youngsters are keener on ensuring the dance parties i.e. the cocktails and sangeet are organised as per their interest and style. 7) Any advice for couples to be planning their wedding? Keep your plans private! The more people that know, the more “well I would” you get. Once you make a decision stick with it. I would tell them to take all the time that they needed to plan and pay for their wedding. There is NO Rush. Keep things in perspective!! At the end of the day it will not matter if your linens matched your decor, if the chairs were ugly, etc. You are marrying the person of your dreams with your VIPs in attendance. Have great food, drinks and music to celebrate with those you love.